We are delighted to welcome Jane to guest demonstrate in 2014 during the 5-day ‘Earthenware Throwing & Slip-decoration Course’, new to the programme last year. 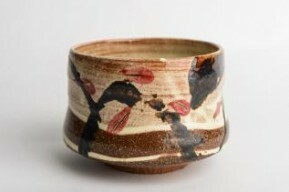 Jane Bowen works in Oxfordshire alongside her husband Dylan, also a potter. Jane’s inspiring work beautifully conveys the fluidity and movement of the softly thrown terracotta which she makes on a kick-wheel. Her forms are simple and are wonderful to use at the table and in the kitchen. The pots are complimented with a palette of gestural and painterly decoration, including brushwork and scrafitto. There are several contrasts in the work which in less skilled hands might compromise their sense of harmony. There is ‘tooth’ to her clay and yet the pots are tactile and exude softnesss. They are lively and vibrant, and yet from them oozes a quiet and confident calm. They are just gorgeous pots! Some more pictures of Jane’s pots will be available on this page very shortly.